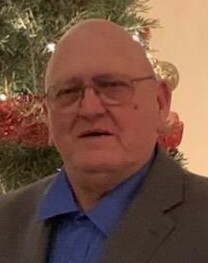 Obituary for Kenneth R. Schneider | Dimon Funeral Home and Cremation Services, Inc.
Kenneth R. Schneider, 77, of Williamstown, passed away Thursday, January 17th at the Good Samaritan Hospital, Lebanon. Born in Philadelphia, May 17, 1941, a son of the late Frederick and Lillian Booktcher Schneider. Ken proudly served his country for 20 years with United States Navy. Following retirement from the Navy, he worked as mail handler with the United States Postal Services, Orlando, Florida retiring after twenty years. Ken was a member of the Christ United Methodist Church, Tower City. He was also a former member of the Jaycees while residing in Florida. He enjoyed doing woodworking and gardening. He is survived by his wife, Irene M. Marr Schneider; one son, Wayne A. Schneider, Florida; one daughter, Debbie Stengel, North Carolina; three stepdaughters, Tifini Crosby, Williamstown; Treena Johnson and Tami Torres both of California; a granddaughter, Zoe Schneider, Florida and a grandson, Travis Roberts, North Carolina along with numerous other grandchildren.